Hi friends! I am so excited to introduce our new blog hop; Holiday Hosting at Home – Fall Home Decor and Tablescapes. We have been working on this for a few months are excited for it to finally go live! This month marks my first year in this blogging world and, boy, what a journey it has been. Beyond the countless hours of developing my website, learning how to take my photos, designing my spaces, creating table settings, writing my posts, one of the best parts is finding so many new friendships in the same space. I have had the great pleasure of meeting two super talented gals that share the same passion for entertaining and hosting our friends and families in our homes. In these days and times, we believe it is sadly becoming a lost art. We were all also raised in similar families that entertained regularly so our bond formed so easily and organically. It was also a coincidence that the names of our blogs are so similar (some fun stories on that coming later!). In light of sharing the same passions, we are collaborating to bring together a new Holiday Hosting at Home Blog Hop to help bring you creative and inspirational ideas for hosting in your own homes for the holidays. 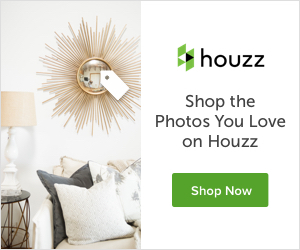 Here is what my friends have been sharing for their fall home decor and tablescapes with lots of great ideas for entertaining in your home for the season. If you would like to pin any of these images, please go to the original post linked below each image. You will want to see their whole posts anyway because there is so much inspiration in each of these posts. The color palette Lory created here is so divine for fall! The soft and jewel tones provide such a lovely contrast. You must see the whole post! Doesn’t this feel so festive, yet cozy at the same time?? Lory’s use of fall produce for this table setting is so creative and subtly elegant! There are so many useful items you can purchase from your local grocery story to add sophistication and drama to your table settings. Holly created this swoon-worthy outdoor table setting for fall that feels so cozy and welcoming. Blue is probably not a color you think of for fall, but this is a perfect example of how you can use almost any color palette for fall! Holly also designed this gorgeous transitional table setting for a “Lasagna Night” she hosted recently. The soft colors are perfect for fall and I think the plaid napkins are so neutral and can be used in so many other applications. 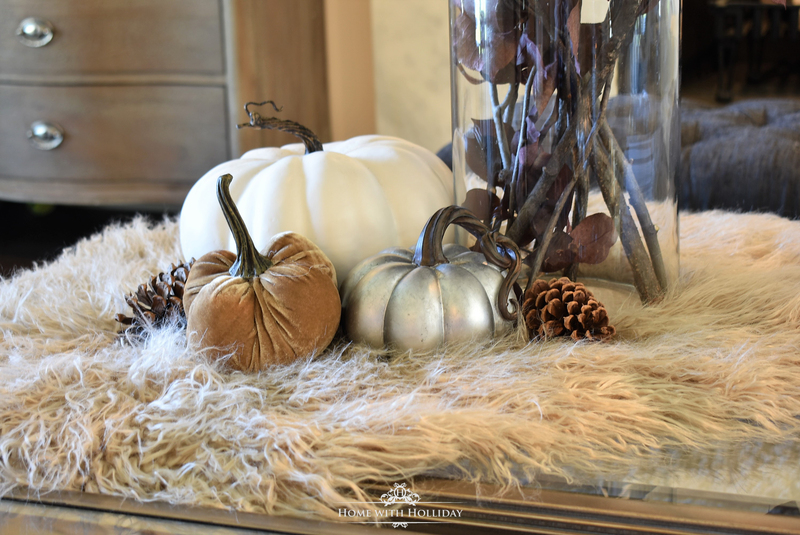 In this post, I have shared how I brought the outdoors in for this easy fall vignette. AND, here is a shocker…the faux fur piece I used here is actually a bathmat I bought on clearance for $12! For this luncheon, I created a neutral palette with brown and white pumpkins. The Ohara roses used here were actually airbrushed by hand and add such a soft touch. Thank you so much for stopping by our first blog hop; Holiday Hosting at Home – Fall Home Decor and Tablescapes. We are so excited about what we are planning in the coming months since the holidays are right upon us. We would love to hear what you are interested in seeing from us as we approach Thanksgiving and Christmas. Thank you, Barbara! We have so much fun putting it together and getting to know each other. Not only are our blog names so similar, but we could also have all been born from the same mother!